The MIT Enterprise Forum Pan Arab in partnership with Touch Lebanon , Tamkeen Bahrain and with the support of TechWadi flew 12 Bahraini and Lebanese startups to San Francisco to take part in a fully immersive Silicon Valley experience in California. This is the fourth edition of the program which has so far supported over 40 tech startups from various sectors. The Arab World Meets Silicon Valley program was established to promote Arab startups on an international level and strengthen the entrepreneurial image of the Arab World. The program commenced with a trip to the iconic Salesforce Tower, the newly erected 1.1 billion USD landmark which required around a full decade of planning and construction. The almost fully open workspace is outlined by ceiling stretched windows that allows maximum natural light and includes homey lounge areas and zen rooms. After the guided tour, participating entrepreneurs sat down with Jill Unikel, VP Employee Marketing & Engagement, to talk about maximizing employee productivity, investing in human capital particularly at Salesforce where their culture is believed to be their main differentiator. “Ohana means family in Hawaiian. Our Ohana is our 'chosen' family, our team” concludes Unikel. The cohort then proceeded to the Uber headquarters where they met with Senior Software Engineer, Georges El Khoury, and iOS Software Engineer, Sami Aref, both of whom are of Arab descent and are currently working on core Uber projects. In response to a question from one of the startups about Uber’s ability to deal with local competition when entering new markets considering their aggressive expansion strategy, “We look at competition as partnerships, and we're looking forward to have governments more involved and working with them” explains El Khoury. 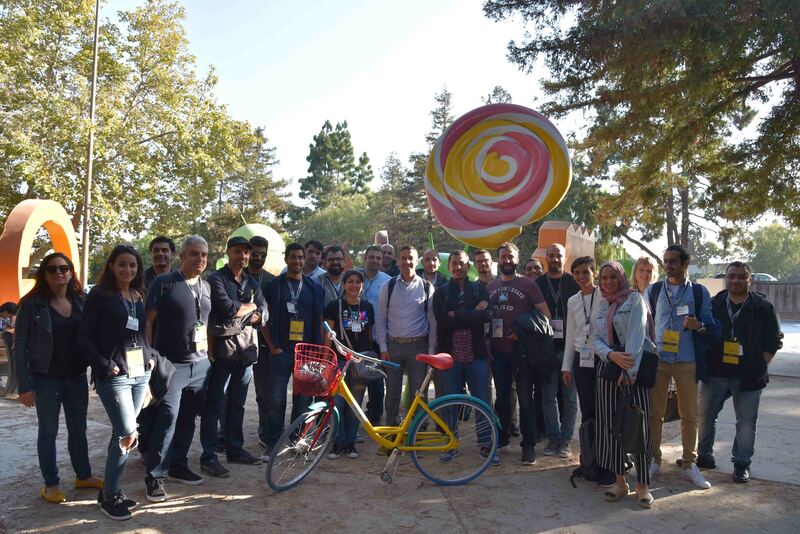 The first day was concluded by a trip to the Google complex, an hour drive from the city center, where they met with Anas Osman, Vice President, Global Sales and Product Operations. The participants then took on one of the most reputable international tech conferences, TechCrunch Disrupt which gathers hundreds of influential speakers and attracts thousands of tech enthusiasts from across the globe. The teams set up in the Lebanese and Bahraini pavilions amongst others and networked with countless attendees looking for funding opportunities, cofounders, and exposure. “We were very happy with all the one on one mentorship we took part in particularly those that happened as part of TechCrunch. The insight was very beneficial that we are now considering new revenue streams to grow our startup” says Samih Harfouche, cofounder of Brate, an online marketplace that helps users find products, services and businesses locally. The teams were delighted by a surprise visit from Kai-Fu Lee, world renowned VC, tech executive, writer and AI expert. A series of mentorship sessions, talks, and meet ups with Silicon Valley investors and experts were organized for the participating entrepreneurs. The teams first met with Chris Brown, Acceleration Program Manager at 500 Startups, where they learned more about the accelerator’s expansion plans. “We started a separate blockchain track, we don't know yet what the exact structure will be but we're super interested in the field” explained Brown. “We don't believe in walls around the universe, startups are the only way forward to break down government walls” he concluded the session. The startups also met with David Mes, Managing Partner at Off the Grid Ventures, who answered their countless questions about how startups operating from outside the US can reach out to American investors. “If you want to raise money from investors in the US, you have to prove you can sell in the US” he explained. The last day of the program kicked off with a mentorship and investor session hosted at the Google Community Space, where entrepreneurs met with over 30 mentors and investors. “Today we met with some amazing mentors who made me shift my positioning from using artificial intelligence to augmented intelligence which is particularly helpful in my coaching solution” remarked Sarah Schwab of The Experience Accelerator, a learning platform that brings its users the latest in leadership thinking. 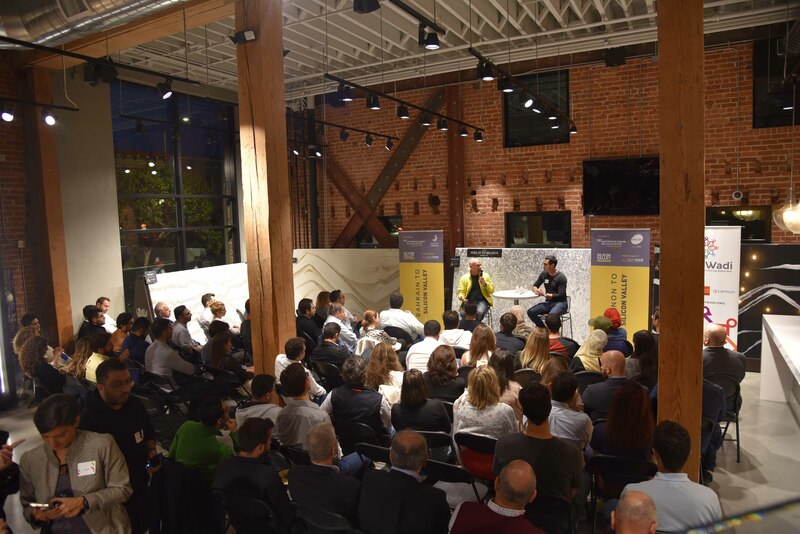 Finally, the teams bid farewell to San Francisco with a networking evening co hosted by LebNet and TechWadi which included a talk by Andre Haddad, founder of Turo, and moderated by Rony Chammas, founder of Peerspace. “As startups we are focused on immediate gratification, and it demands a lot of willpower to commit to the long term and a board that shares that” explained Haddad to a question about the challenges faced by entrepreneurs after finally finding their product market fit. “Best piece of advice for running a business outside the USA: Throw yourself into something you are very passionate about, as you will have to be authentically engaged with the problem you are solving” he concluded. Checkout an interview on local Lebanese channel MTV as part of The Start program.